• Mashed strawberries or sage leaf were applied and massaged on teeth's surface. • The rule of the thumb is to brush your teeth after every meal. Brushing will prevent the formation of plaque that sets stains. Many people think that once a day brushing is enough but this isn't true. 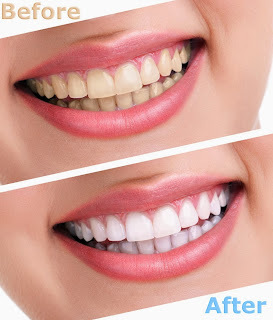 Healthy gums and teeth will be maintained by brushing your teeth regularly. • Worn out toothbrush is a no-no! How can you have clean white teeth, if your brush can't do the job? Your teeth will not be brushed thoroughly with bristles that are worn out so change your toothbrush every two months.